Myranda Harris is a PhD student in ethnomusicology at the University of Texas at Austin. She holds a Master of Musicology and Bachelor of Music from the University of North Texas. She is currently researching the impact of Karnatak “fusion” music on music transmission and percussion practices in South India. 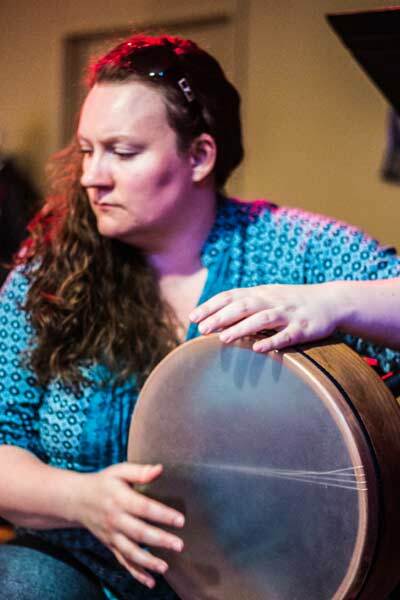 Myranda is a percussionist trained in Western classical percussion as well as a variety of world percussion instruments, such as South Indian kanjira, Iranian daf, and Egyptian riq. Myranda has built a diverse rhythmic vocabulary by studying percussion in a number of music traditions, including Afro-Cuban and Brazilian music, West African Ewe drumming, Javanese and Balinese gamelan, Middle Eastern maqam-based music, and South Indian Karnatak classical music. Myranda has performed with a number of musicians and ensembles in the Austin and DFW areas, and she currently performs in Austin as a member of ETHNOS, UT’s “Bereket” ensemble, ask-i mesk, and the Lee Redfield jazz trio. Jeff Hodges is a music educator who received his BA in Music Education and MA in Ethnomusicology from the University of North Texas. 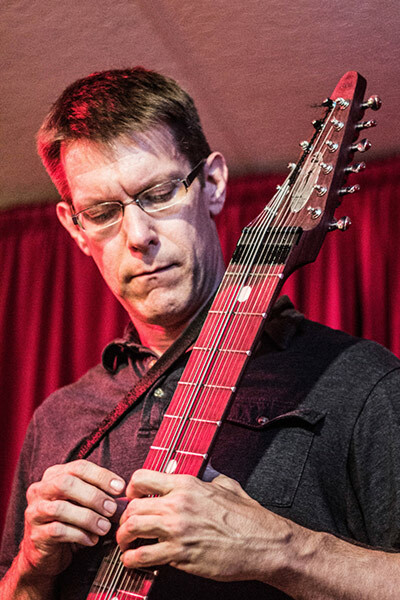 Trained as a trombonist, he developed a parallel career as a bassist before adopting the Chapman Stick in 2001. He returned to UNT to study Ethnomusicology with a hidden agenda to insinuate the Stick into the academic setting. This brought him on a path of study that included jazz improvisation, South Indian rhythm, Balinese gamelan, popular music, musical transmission, phenomenology, and organological embodiment. After completing his studies, he studied shakuhachi in the kinko-ryu style for two years as an investment for future research. Jeff is particularly interested in investigating the ways in which music syncretizes across cultural lines in the 21st century. ETHNOS provides the environment by which he can examine this phenomenon as well as the two-handed affordances of the Stick. In addition to teaching and performing, Jeff is an aikido practitioner, holding a 3rd degree black belt, and CrossFit enthusiast. For more information on Jeff, visit his blog. Eddie Hsu is a PhD student in ethnomusicology at the University of Texas at Austin. He is originally from Taiwan, and received his B.A. majored in Dizi – Chinese bamboo flute – performance at Tainan National University of the Arts. He received Master in Music at UT-Austin, with research interests in Chinese and Taiwanese music, and realm of intangible cultural heritage in special regards to Taiwanese Aboriginal music. 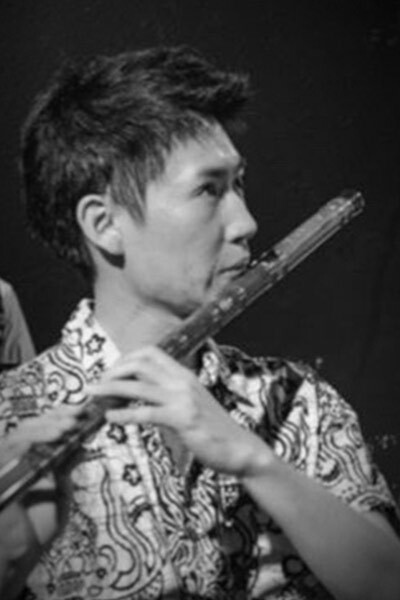 As a musician, Eddie has played dizi and Arabic nay, performing with music groups such as ETHNOS, Bereket, UT Gamelan ensemble, and GO: Organic Orchestra. He has composed, arranged, and performed for many groups and events in Austin and Taiwan. His music style is strongly rooted in folk music in Taiwan and China, with interests in exploring various kinds of music in world cultures. Josh Peters is a multi-instrumentalist trained in a number of musical traditions. He currently performs on a variety of percussion instruments, Oud, guitar, and voice. As a child Josh studied piano, guitar, and trumpet and quickly developed a passion for music learning and improvised music. Josh began his formal music training at the University of North Texas where he studied jazz arranging, Ewe drumming, Afro-Cuban and Brazilian music, and the rhythmic concepts of Karnatak music. After his time at UNT Josh went on to study Hindustani tabla and Kirana Gharana khayal singing with Rik Masterson (a disciple of Pandit Pran Naht) as well as continuing his study of Karnatak music on mridangam with Sri. B. Vijayan (a disciple of Karaikudi Mani). Josh is currently focusing his study on Arab and Turkish maqam music on Oud, and continuing his study of the various percussion traditions of the Middle East. 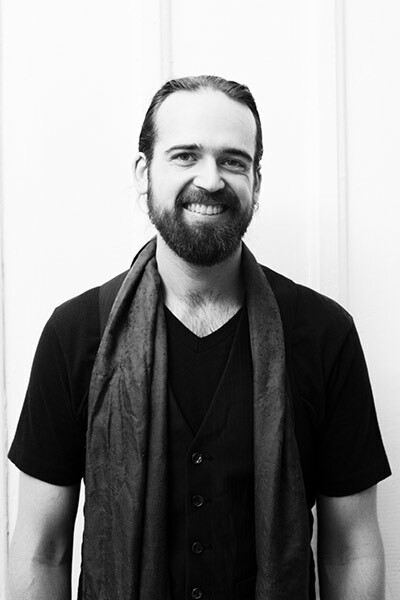 Josh has performed and recorded with a number of musicians in the Austin and DFW areas as well as in Portland, OR and performs here in Austin with ensembles including UT’s “Bereket”, ETHNOS, Indimaj, Tolstoy & Leo, and Millicent Hughes.